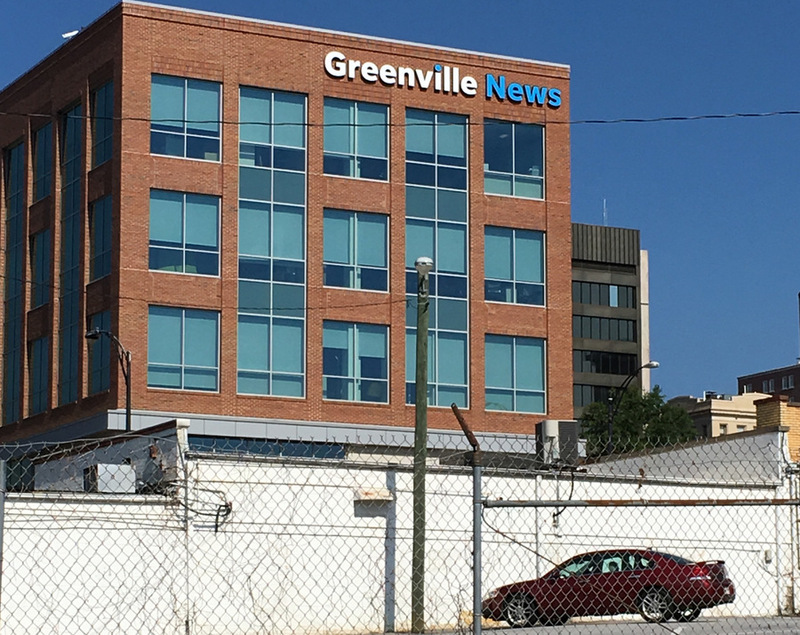 The Greenville News signage is now up on the Greenville News building on the corner of Broad and Falls Streets. Now that the old Greenville News Building is being demolished as part of the Camperdown Project, here are some views of the building architecture. The former Greenville News building is being demolished as part of the Camperdown project. The construction crane has been raised over the Camperdown development project in preparation for the demolition of the former Greenville News building, now empty since they have relocated to the new building next door. The new Greenville News building is taking shape, as seen in this view up East Broad Street. On Main Street, Greenville, SC. This early 1970’s headquarters, on a 5 acre site, for the Greenville News newspaper, will be torn down this year, to make way for a new commercial development, featuring hotel, residential, and commercial space.